Melanie provides the fastest worldwide voice over service available via ISDN, ipDTL, PHONE PATCH, or SELF DIRECTED, and delivers. MP3, .WAV or .AIFF audio files via email or FTP. Her voice over studio is located in the Central Time Zone. 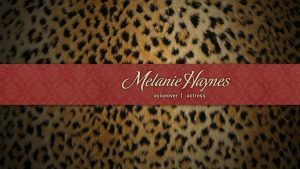 Melanie has been a professional female voice over talent and actress for over 20 years. She is truly a voice actor - a seasoned, skilled veteran of film, television, and theater who brings versatility and intuition to every session. Her voice is rich, warm, and smooth, and in addition to providing the voice of knowledge and reason, thoughtful motherly advice, friend next door, or business woman, her repertoire includes many comedic characters and dialects. She has voiced literally thousands of radio and television commercials, corporate narrations and training modules along with documentaries, promos, imaging, audiobooks, IVR phone prompts, and on-hold messages. She has been seen and heard on the BBC, ABC, CBS, HBO, USA Network, The History Channel, Disney, and Fox.